Seth Godin explains that many organizations have great ideas. And if you get your idea to spread, you will win (even if your or idea is similar to your competitors). Hiring is no different. Talent hunting through search will be constrained by the size of your team or their search capability and experience. If you have a smaller recruitment team, you'll have to get your message to spread in order to win. Your job ad should grab the attention of a talented engineer who may be outside your network, your town, your state or even outside your country. Firstly, think bigger. Don't think about the number of requisitions you'll need to fill this quarter, or the number of leads you want to chase. Instead, set yourself a lofty, maybe audacious, goal. We've set goals like: "This month, we want every software engineer in Australia to hear about the fact that we're hiring". Or, earlier like this financial year: "We don't care about our limited employer profile in Europe, we want to convince every software engineer in the UK, Spain, Germany and Holland to move to Australia". A bit cheesy, but it works. It helps the team to refocus and think differently about how to get the message out. What messages are more likely to spread? To make your message spread, don't just market the position or the number of job opening(s). Really, no-one cares about your 10 engineering jobs. And your job really isn't the only opportunity in a well-funded company where you get to work with smart people on a product that will change the world. Maybe someone will be listening (if you're lucky), but remember that your message isn't going to spread by itself. What would people share on twitter? What would people talk about at a party? To make your job ad reach a large audience of developers, you'll need to treat is as a marketing exercise. So, grab a copy of books like "Made to Stick", which explains how some stories are being retold and shared and start re-thinking your hiring strategy. 1. What would people share on Twitter? Think about the links you click on LinkedIn or twitter. Most likely you'll choose something that is useful in some way (the 'how to ...'), Or, sometimes you'll check out a news-update or live information (breaking news, live feeds...). And sometimes you may share something which is funny (watch Rebecca Black's new song). How can we use this in recruitment? Earlier this financial year, we got hold of a bus and toured European cities to find 15 awesome engineers who wanted to relocate to Sydney. Our "Europe, we're coming to steal your geeks" recruitment campaign, featured updates on where in Europe our bus was travelling, including a location map, a live twitter stream and flickr photo updates. 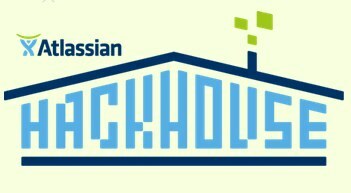 In another example, "HackHouse", our graduate induction program, features a live video feed from the house. It keeps people engaged and coming back to our site. Getting information that may benefit you in some way is always good. Our "Refer-Your-Mate", where external referrals will get you free flights to anywhere we have offices, has been attracting a lot of attention. I also love photo-sharing site Hipster's referral campaign, combining both usefulness and fun. Not everyone’s cup of tea, but Kexeye’s recruitment video sure got people’s attention. 2. What would people talk about at a party? No one at a random party will be discussing the 10 new engineering job openings at your company. 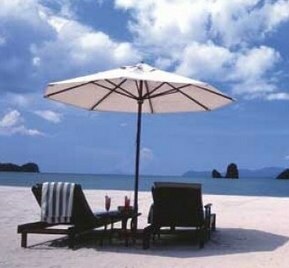 Only the standout initiatives wil become discussion topics. A quirky (but more expensive) initiative was Redgate's 10 geeks in 5 weeks campaign. Giving away a free iPad to anyone who was invited for their job interviews got enough word of mouth and media attention to ensure a fantastic outcome. One of our initiatives became a topic of much conversations, our "Holiday Before you Start", where we give new recruits a holiday before they start with us to celebrate their new role and to start refreshed. 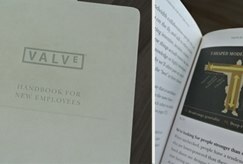 Great branding by Valve software with their Employee Handbook, that described their company culture in a playful (and beautiful) way. A bullish way in which we approached our partnerships with recruitment agencies became a hot discussion topic in Australia.We allowed any agency to submit candidate referrals, but we applied a few rules: Firstly, the maximum number of referrals was 4 candidates. Secondly, if none of the referred candidates was hired, we would not be doing any more business with that agency,.. ever. And thirdly, the agency would need to sign our term to ensure consistency. The initiative raised some eyebrows and the quality of agency referrals. 3. What do reporters want to write about? A news story is useless without readers. Newspapers need to sell and reach a large audience. That's why every story needs a newsworthy headline. Having newspapers write about your recruitment initiatives is extremely useful in getting your message out. Unfortunately, a great story about your company doesn't necessarily mean you've got a good headline. Telling a reporter that you're hiring 20 developers will not make the news. But maybe you can reframe your message. For example, are you perhaps hiring more staff over a longer period of time? Just the other day, the box CEO, Aaron Levie managed to get his hiring message into a Business Insider story by telling reporters that he is adding 300 staff next year. Another way to get noticed is by communicating the dollar investment, like our headline a few years back "Atlassian is injecting investing another $10M in new IT jobs"
Our story headline about "Recruiting Europe's talent amidst the economic downturn" made it's way into several high profile publications. It resonated with reporters because the story tied nicely into the current affairs. Motivated by the limited supply of software developers available locally, we decided to direct our recruiting focus elsewhere and draw programming talent from Europe. We kitted out a bus, conducted interviews and hosted informational evenings at local coffee shops and pubs – all with the purpose of luring highly skilled developers back to Australia’s ‘Silicon Beach’ with a job at Atlassian and an all-expenses-paid relocation package to Sydney (more details can be found here). In the end, our campaign was a smashing success, attracting more than a thousand qualified applicants in just five weeks – more then five times the volume we’d get normally! We even made the Spanish TV news! Sneak into the candidate's radar by going stealth. 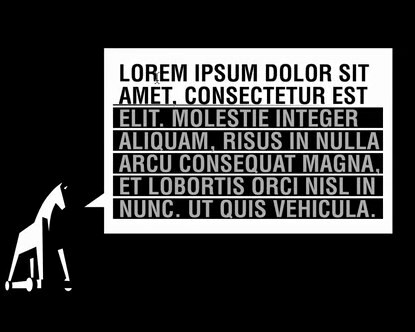 This oldie, the "Lorum Ipsum" campaign was one of the best ways to get the attention from their target audience. Jung von Matt had often taken poaching one step up including when they sent their photographers to other agencies to show off their portfolios, with a creative hiring message hidden inside. 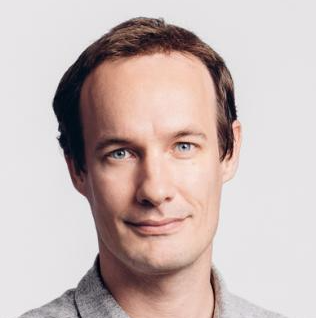 Another original approach was Ikea's search for new hires through their own customers. They figured, there have to be some happy customer out there who may be interested in working at one of their stores, and they were right.